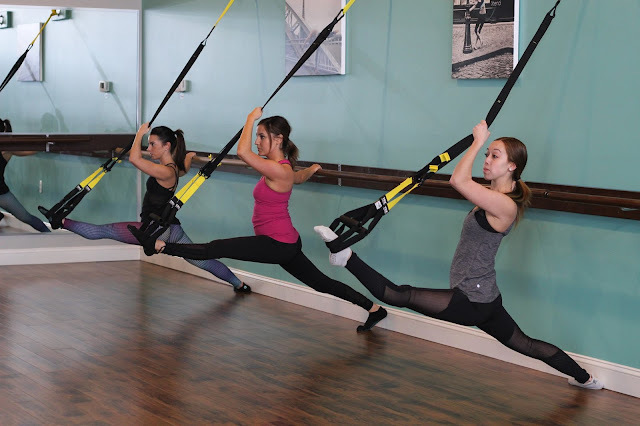 I want to take this Barre Class!!! Looks amazing and the cosmic dots look adorable on her! I've never seen a Barre class with TRX bands before. Great placement on those cosmic dots, really hit or miss. Any idea what the perforated bottom third part of the leg on the Barre Star pants is made of? Can anyone tell me when they update the WMTM? I was thinking the same thing....would love to take that barre class! 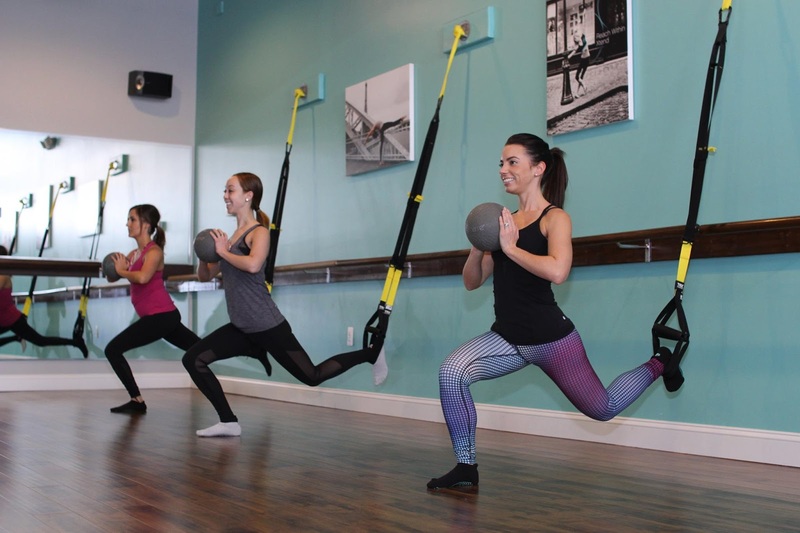 On a related note I noticed a new pure barre studio pop up not too far from me and I am curious if anyone has tried one (since they are a chain). Any feedback would be greatly appreciated. 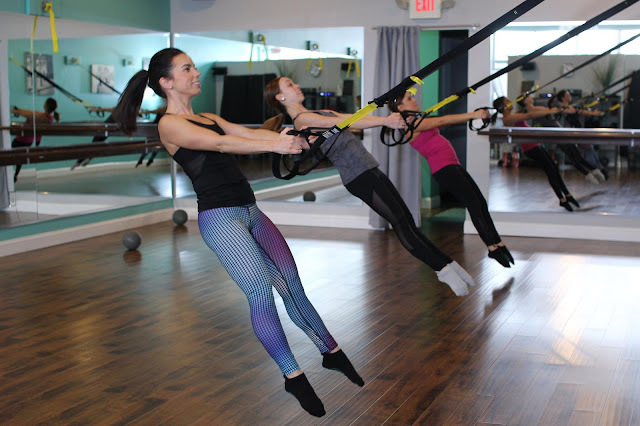 I have been wanting to try barre and I am guessing the few classes offered at my gym may not be the best experience. Would love to hear from ladies on this blog if anyone can advise! Anon 5:32. 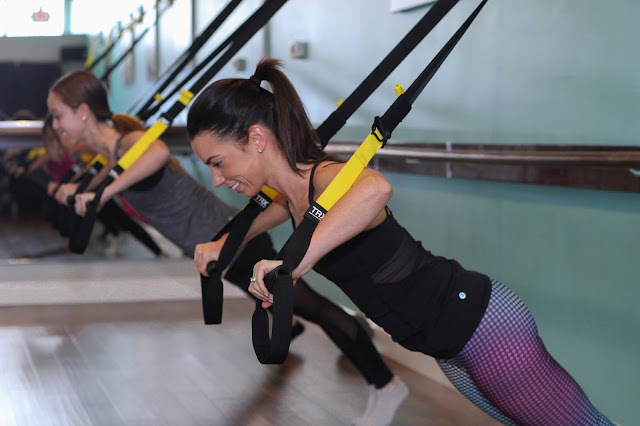 I tried the Pure Barre studio and it seemed okay. Clean. Instructor was very good. I had a freebie and only did one class. 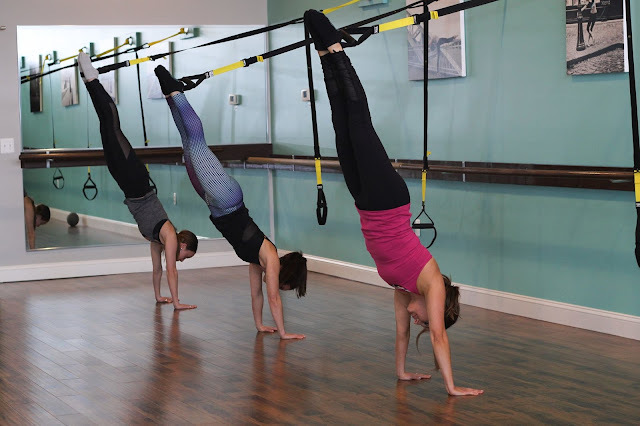 I would have liked to try it again but the nearest Barre class is a 40 minute drive one-way (which is why I only went once). A new studio should have some "free, try us" type of sessions so definitely look into it if you want to try it. 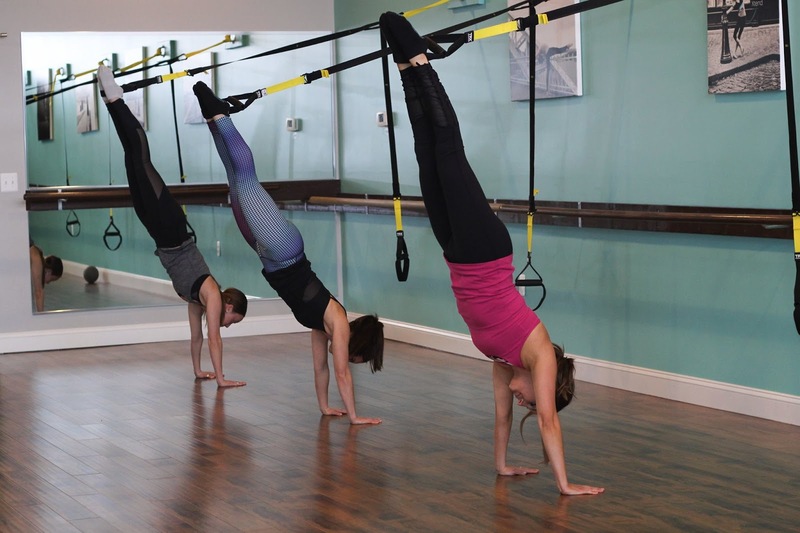 It's a trx class at xtend barre in Michigan. 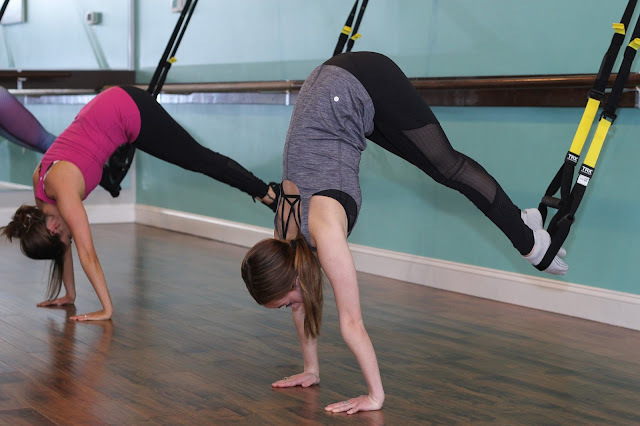 It's a super hard class, (I'm the one in pink) you'd love it!! 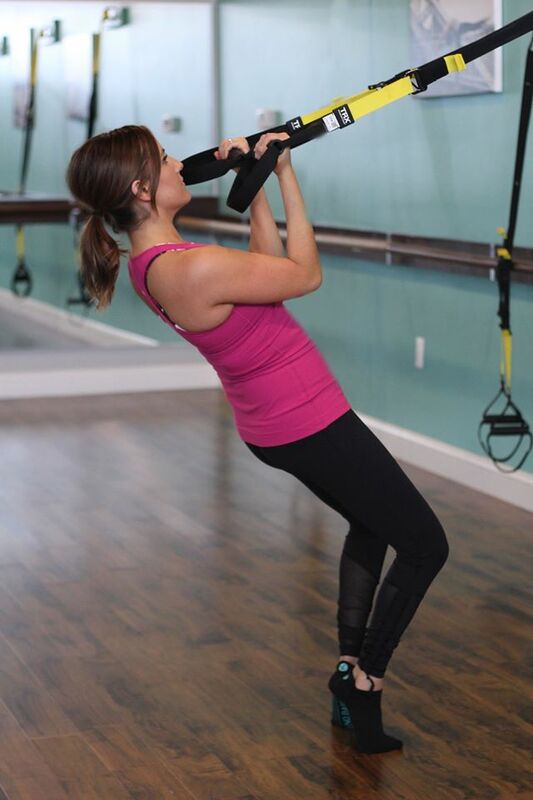 Try xtend barre, they offer a variety of classes that are challenging for every level. 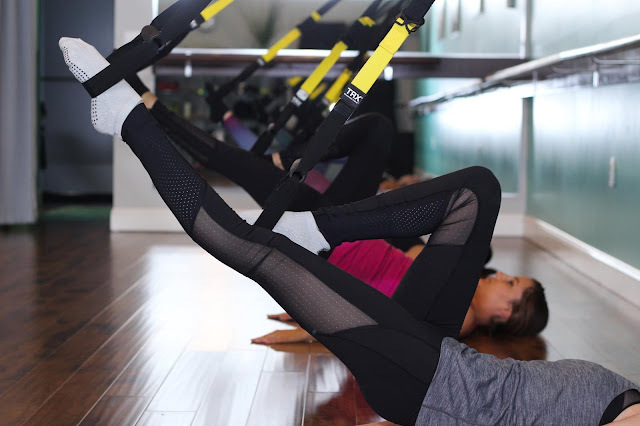 Xtend barre offered a variety of classes, including trx! It's called suspend. 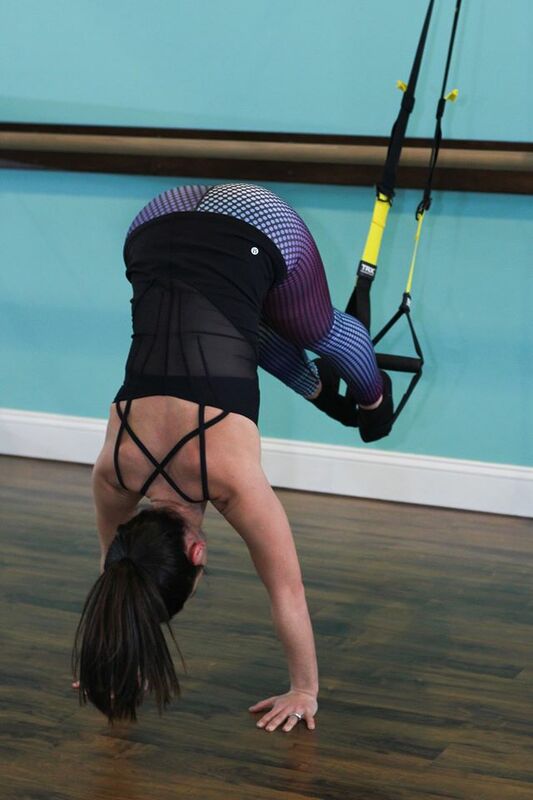 It's a mix of trx and xtend barre. Thanks!